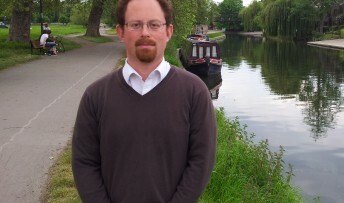 The champion of Cambridge’s independent traders will be crowned tomorrow (Saturday, December 7) by the city’s MP Julian Huppert. Ten businesses which won monthly rounds of the competition are going head-to-head to be named the winner of Julian’s Discovering Cambridge competition at the Mill Road Winter Fair. All have gained recognition over the last year for their diverse range of goods and services and excellent rapport they have with their customers. Nominations flooded in each month for the various categories of the competition which celebrated and gave well-deserved recognition to the city’s shops, pubs, cafes and restaurants. Now the overall winner is to be named and will receive a certificate and a bottle of House of Commons champagne. Julian will also invited representatives from the winning business to join him in Westminster to find out more about his work in Parliament to champion local businesses. “This has been a great competition,” said Julian. “It was clear from the outset that the people of Cambridge and visitors to the city really value its independent businesses. “We are so fortunate to have such a diverse range of businesses which help to make Cambridge very special. I am delighted that we have been able to celebrate them in this way and I thank everyone who has taken time to nominate his or her favourite.